Exhibition Stands, Exhibition Stands UK, Exhibition Services | 200m2 | Free exhibition stands at Devon Business Expo! Free exhibition stands at Devon Business Expo! Two leading Exeter-based networking clubs are joining forces to create the new Devon Business Expo which takes place on Thursday the 5th of June. More than 100 exhibitors and over 1,000 delegates are expected at the business exhibition at the Matford Centre. Organised by ‘The Best Of Exeter’, the event is free to attend for delegates who book in advance. The organisers are offering a 10 per cent discount on exhibition stands booked by members of the ‘Exeter Chamber of Commerce’ and the ‘Business Network’ in order to encourage as many different industry sectors as possible to attend. Meanwhile, there is a chance for one lucky business to win a free exhibition stand! The prize is a 3m x 2m exhibition stand including shell scheme walls, table and electricity, worth over £400. 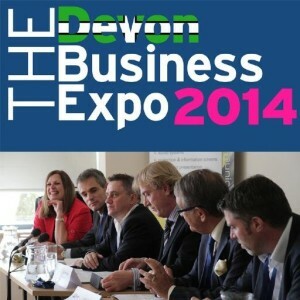 To enter, simply visit the Devon Business Expo website and register. The deadline for entries is 11.30pm on Saturday the 17th of May. Even if you are not lucky enough to win there are still a few stands available for exhibitors. For more information, visit www.devonbusinessexpo.co.uk or call 01392 349135. The Expo is open to all types of business from across Devon, including cafes and restaurants, garages, retailers, professional services, charities, digital marketing, social media and training, plus many more. If you are planning to attend this show and need advice regarding your own exhibition stand, 200m2 is here to help. In addition to exhibition stand hire, we can help with a full range of exhibition services, from modular exhibition stands to exhibition logistics. Previous Previous post: The Ultimate Mobile Exhibition Stand? Next Next post: Interactive Exhibition Displays!